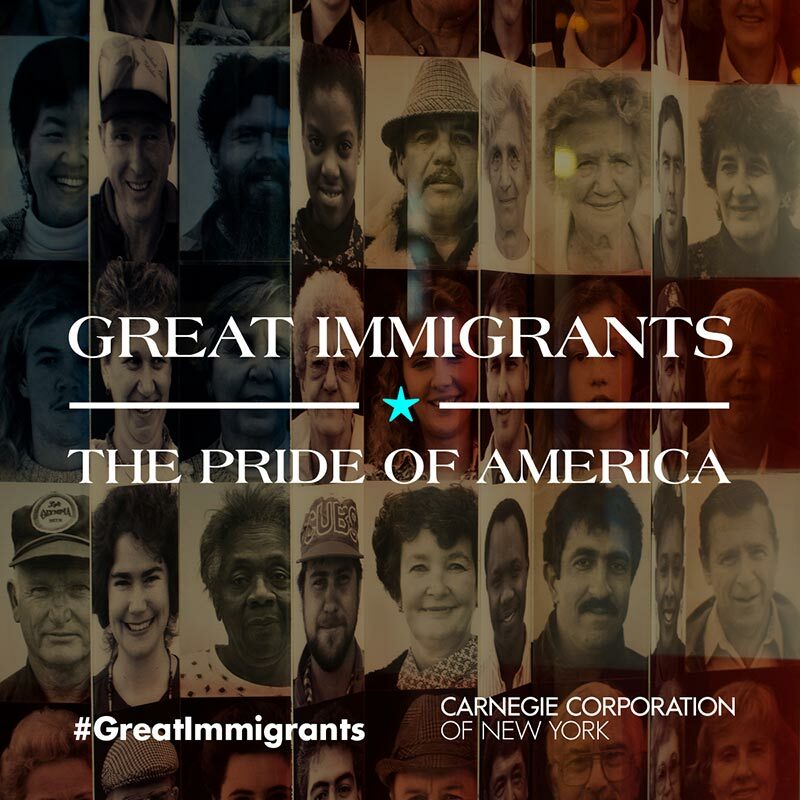 As the Fourth of July approached in 2006, Carnegie Corporation of New York launched its Great Immigrants initiative, recognizing an inspiring group of well-known naturalized citizens from all walks of life whose contributions have helped us advance the progress of our society. Each July 4th that followed, the project highlighted a new group of distinguished foreign-born Americans who have helped make us who we are as a nation. The accomplishments of these men and women—architects, musicians, athletes, scholars, judges, politicians, physicists, actors, diplomats, military officers, fashion designers, entrepreneurs, philanthropists, writers, and more—are as diverse as their life stories.